Easton and Race Face offer the CINCH Power Meter Spindle. Compatible with Easton’s EC90 SL road crankset or Race Face’s Next SL MTB cranksets, the CINCH replaces the OEM spindle and measures left-side power. 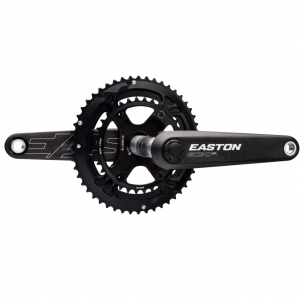 Easton and Race Face power meters are affordable starting at $599 and allows users of these cranksets to easily and affordably add power to their bikes. Installation: Assuming you have a compatible Easton or Race Face crankset, installation of the CINCH is quite simple. 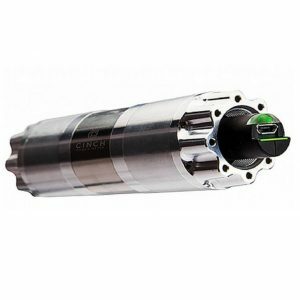 All that is required is to replace your current spindle, which attaches to the left side crank arm, with the CINCH. Installation typically takes no more than 10-15 minutes and can be done at home. Weight: Easton and Race Face power meters weigh 65 grams (weight of the CINCH spindle). This is likely just 20-30 grams more than the stock spindle you would be replacing – so added weight is relatively minimal. Power Measurement: Easton and Race Face power meters operate as left side power meters. That is, they measure the force that is generated from the left leg. They double the value to calculate total power. Batteries: Easton and Race Face power meters use rechargeable lithium-ion batteries. Battery life is around 400 hours, which is longer than most other rechargeable power meters. Communication Protocol: Easton and Race Face power meters transmit data via both the ANT+ and Bluetooth SMART wireless protocols. This means you can use them with any bicycle computer, smart phone or tablet. Accuracy: Easton and Race Face power meters are accurate to within +/- 2.0%. This compares to +/- 1.0-2.0% accuracy for most other direct force power meters. Cadence Detection: The CINCH measures cadence with a built-in accelerometer. There is no need to use any magnets with this power meter. Warranty: Easton and Race Face power meters come with a one-year warranty which covers the product from defects in material and workmanship. The Easton CINCH Power Meter brings power to your Easton EC90 SL crankset!